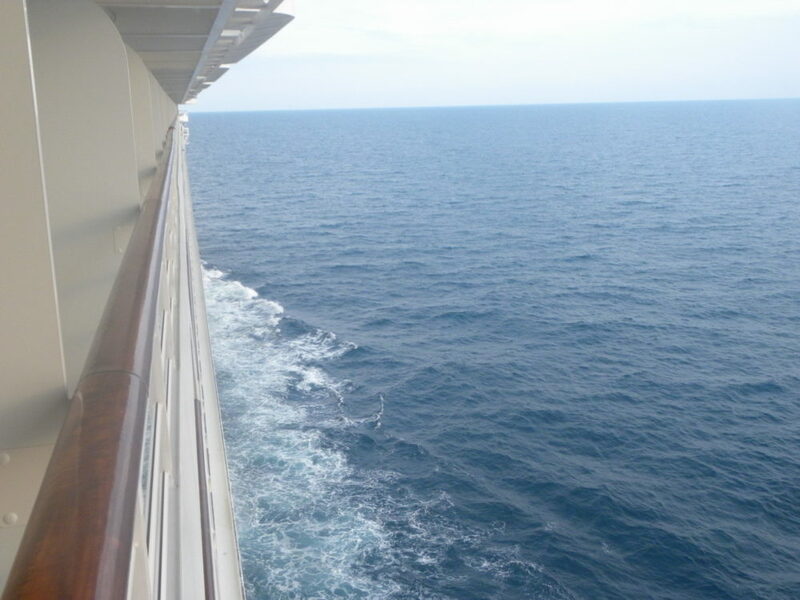 Going on a Disney Cruise is very expensive, but I would go again despite this fact because it was amazing and fabulous! My family of five had so much fun and created such awesome memories on our cruise. 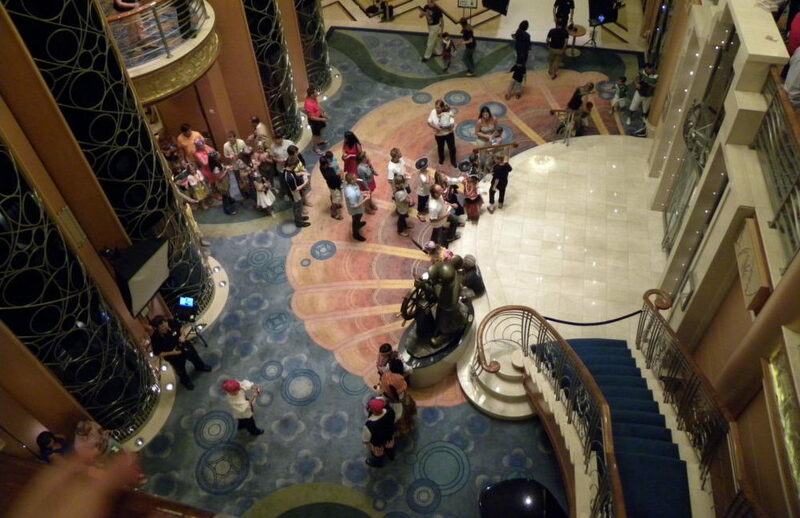 We cruised Monday to Friday for a five day four night Disney cruise to the Bahamas onboard the Magic. My family has gone on several cruises, and Disney was the best one. 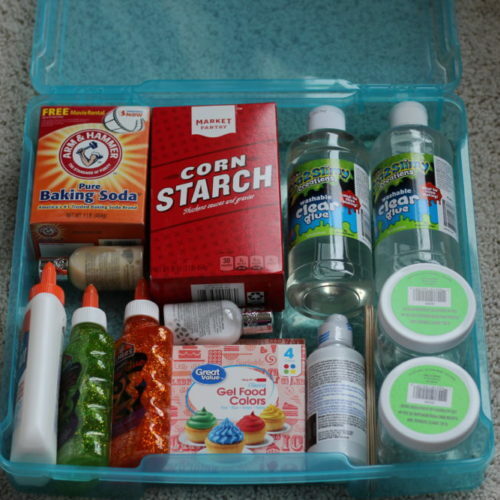 I highly recommend it for family travel. 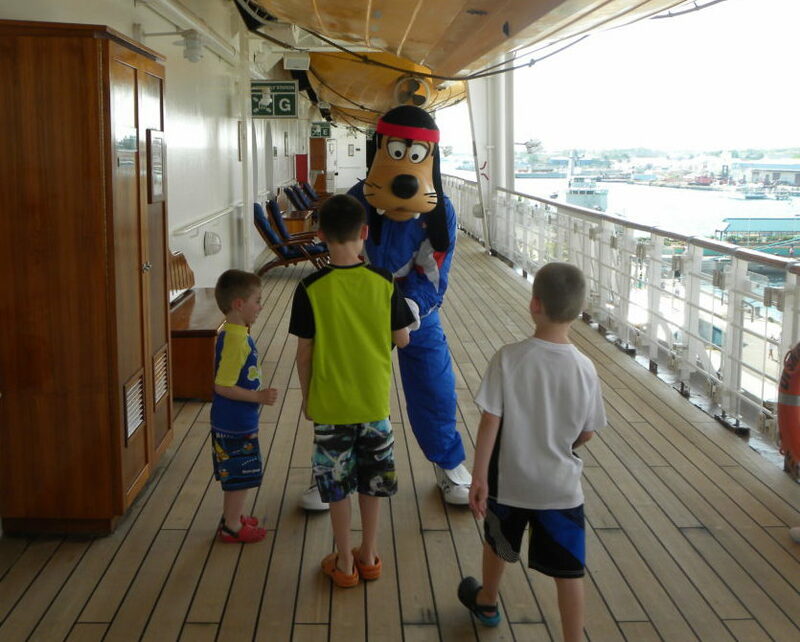 A family getaway on a Disney cruise is perfect because it caters directly to families. 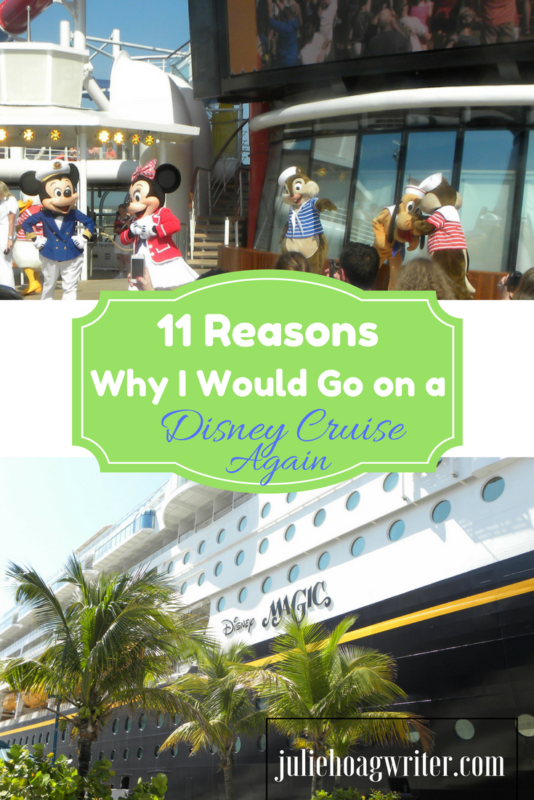 I’m sharing my 11 Reasons Why I Would Go On a Disney Cruise Again. This site contains affiliate links. If you were to click on or purchase through the links, I would receive a commission at no added cost to you. This helps me run my site. Please see my disclaimer. 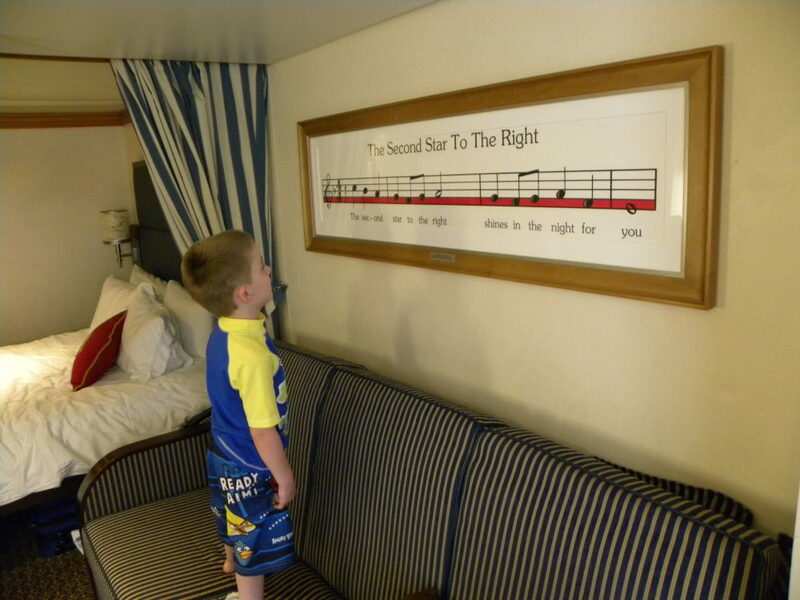 The Disney Cruise line understands families; this is evident for so many reasons. 1). We loved our room plus there were places for five to sleep. We are a family of five, and often we run into problems where hotel rooms either don’t have five spots to sleep or they force guests to buy a second room because the room max is four. 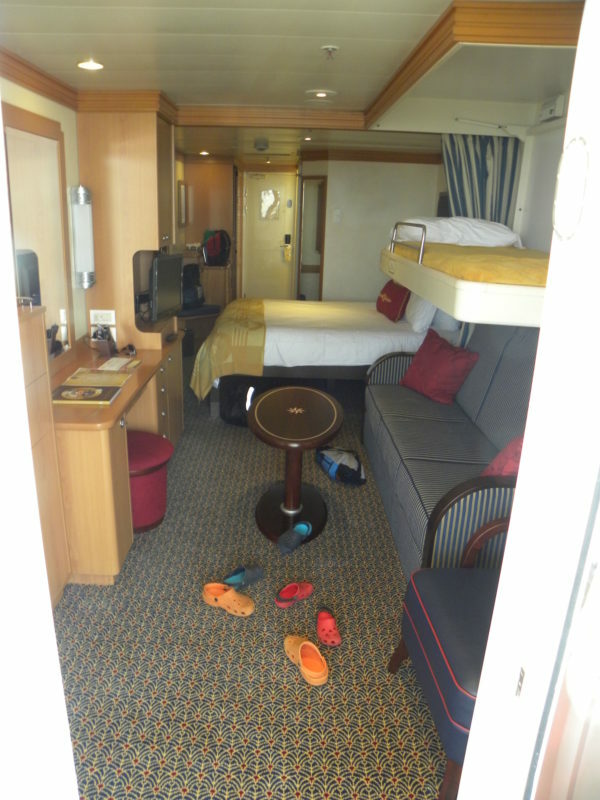 The Disney Cruise did not do this but offered a stateroom that provided sleeping accommodations for five people. We loved that our room had a king size bed, two bunks in bunk bed style that folded down from the wall, and another small bed for our youngest child. Our youngest slept on the bed that was nestled into the wall during the daytime, plus there was a bed rail for the side just like his bed at home. It was perfect! 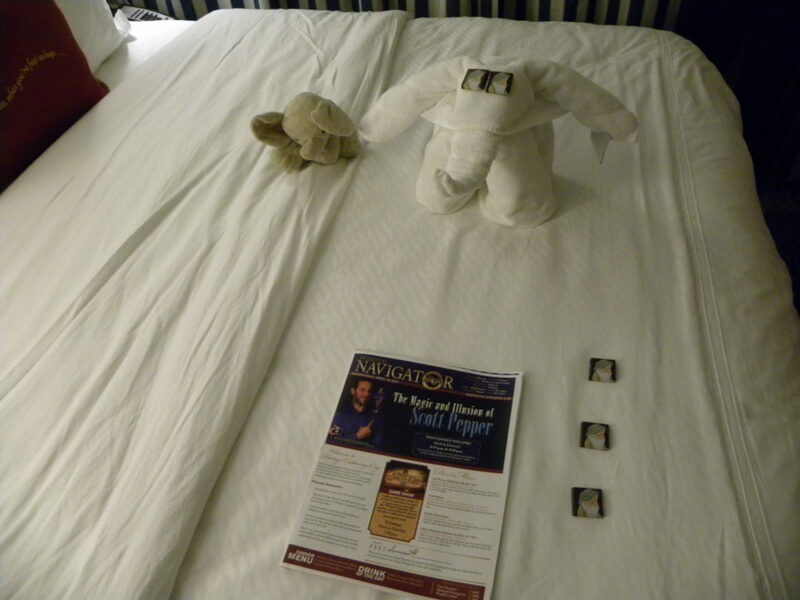 The housekeeping staff always made up the beds so they were ready for the night plus they left fun towel shaped animals on the bed with chocolates with a picture of the dwarf Sleepy from Snow White. We called them Sleepy chocolates that helped us sleep at night. For the daytime, they put the beds back into the walls. Our room had a sliding door to a balcony which we loved because it gave natural light in the room (you won’t get this for inside rooms), plus we could go sit on the balcony to see the ocean any time we wanted. The room was comfortable with a couch, and we enjoyed the larger size of the balcony style room. Enough space is important with a family of five people. 2). The childcare check-in areas on board were fun. The cruise line provides age appropriate check-in childcare areas that kids love so parents can have a meal together, some time at the adult only pool area, or have a drink at the bar. It was super fun in the kid area so the kids really wanted to go in. The programming provides free play time, guided play time, crafts, movies, activities, entertainment, and even meals. The décor was fun, inviting, and age appropriate. Our youngest was five at the time and he loved the Oceaneer Club and Lab childcare area (ages 3-12). He even asked to go back! It worked out so well that he loved being checked into the kid area because when he was there, the rest of us went to a movie that was too old for him. Yes, there is really is a movie theater on the ship! They were showing one of the superhero movies onboard the ship that was in the movies theaters at the time. The bonus was we didn’t even need to pay to see the movie! However, we did have to pay for drinks and snacks like popcorn. They have a check-in area for ages 6 months to 2 years old, one for tweens (11-14), and teens also. 3). The food options were perfect for our family. 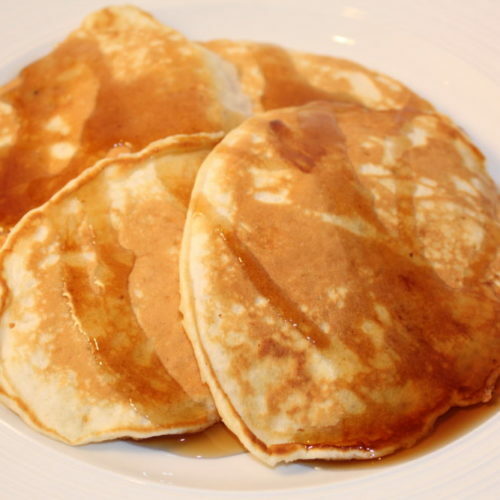 The food options offered appealed to all five of us in the dining rooms and in other eating areas. My kids could always find an option they wanted to eat. 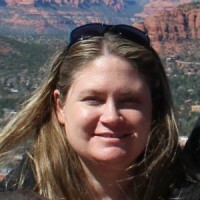 I found food options as a vegetarian, plus my husband found dishes he wanted to eat as well as a meat-eater. The food was delicious and did not disappoint us. 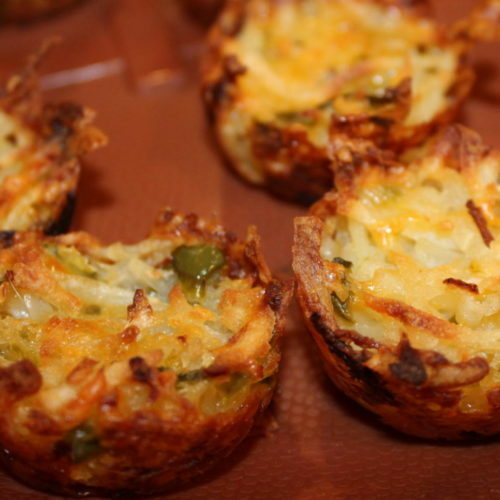 We never had a bad experience where the food was distasteful, it was always good. 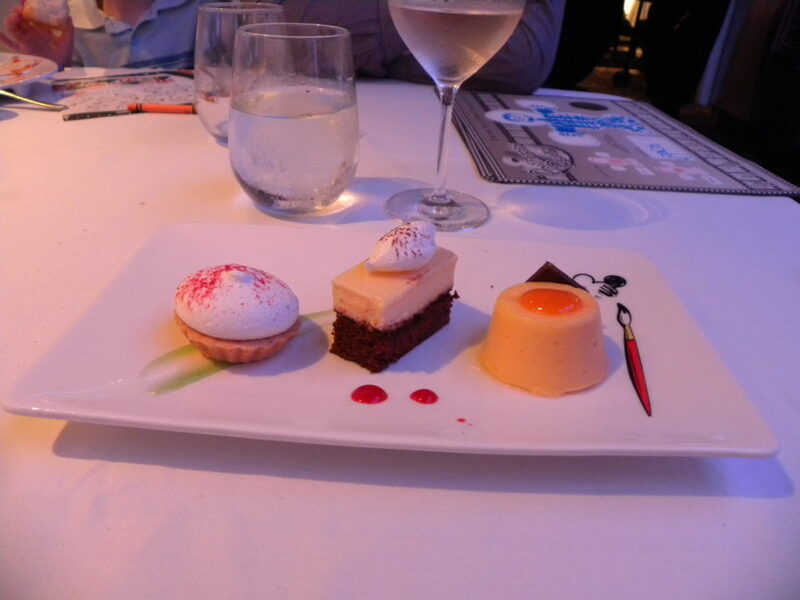 The desserts were gorgeous and delicious as well. 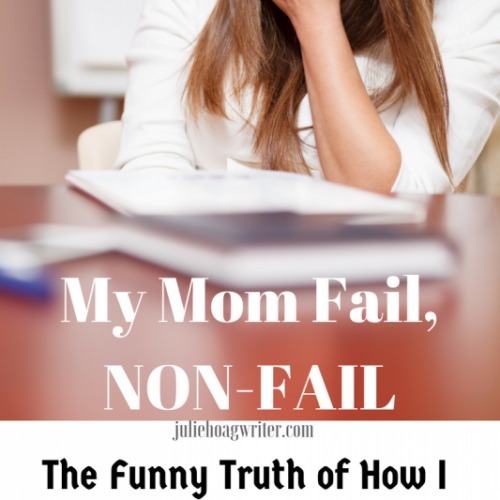 As a mom, I loved that snacks were easily accessible. There were pizza slices available poolside as well as sandwiches, fruit, and other snacks. Soft serve ice cream was available poolside. This was my boys’ favorite part. They could go get an ice cream cone anytime they wanted. They were in heaven! The themed restaurants were so much fun! 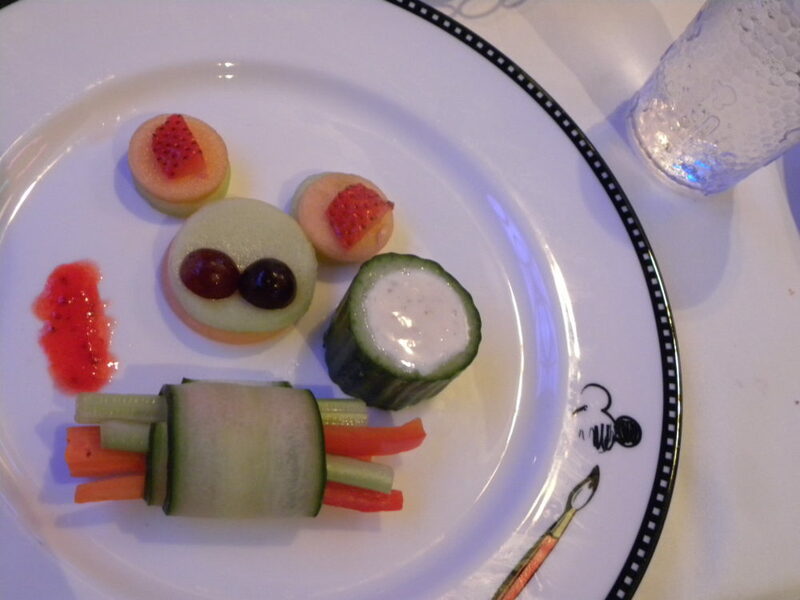 We loved the dinner at the Animator’s Palate because there was an interactive part of the meal. 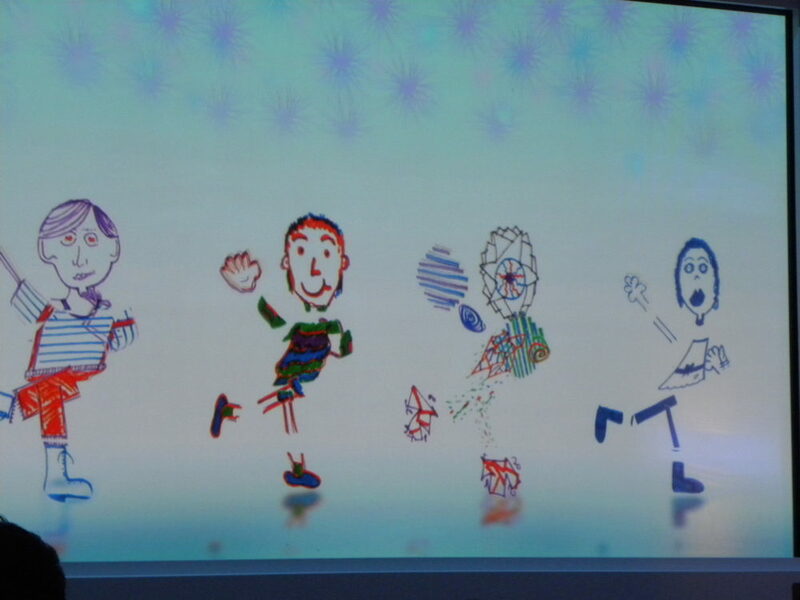 Everyone was given a placemat to draw a character on and later during the dinner session, the characters we drew appeared on the walls as animations as did our autographs. I don’t know if they put everyone’s up however because my oldest son was disappointed he never saw his character appear. Be prepared and tell your child ahead of time that all characters may not appear so they won’t be disappointed. I’m not sure if we just missed it or if it was an oversight by staff, but despite that, it was such a fun dinner. Plus, our waiter did magic tricks for our kids which were a huge hit with them! 4). Fun character experiences were found around the ship. 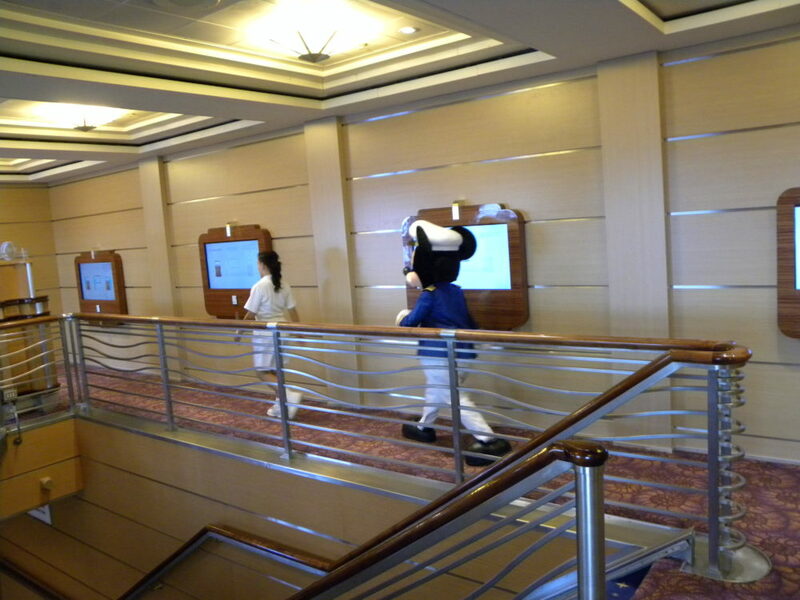 We were always seeing Disney characters around the ship. Sometimes we saw them strolling the halls. They would always wave, give a high five, or sometimes even stop for a picture. We also saw the Disney Characters appear for the stage shows. 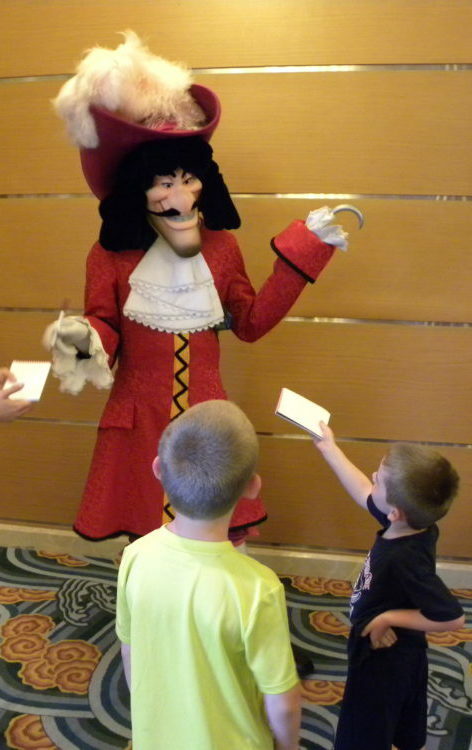 Characters were also found doing autographs around the ship (almost always with huge lines onboard, however, but see my post about Castaway Cay tips for shorter lines). We did not buy the souvenir autograph books on the ship. For a cheaper solution, before our trip, I had bought Disney themed autograph books online from a shop that specialized in making these books. Look for an online shop that provides books with many blank pages with a spiral-bound style for ease of flipping to a page and folding the book for autographs. I found many online shops offered different themes and some even customized the book cover with the child’s name and year. I brought along several ball point pens for character autographs. The cruise provides a daily flyer with the schedule of events. 5). The cheap souvenir autograph shirt option is great. 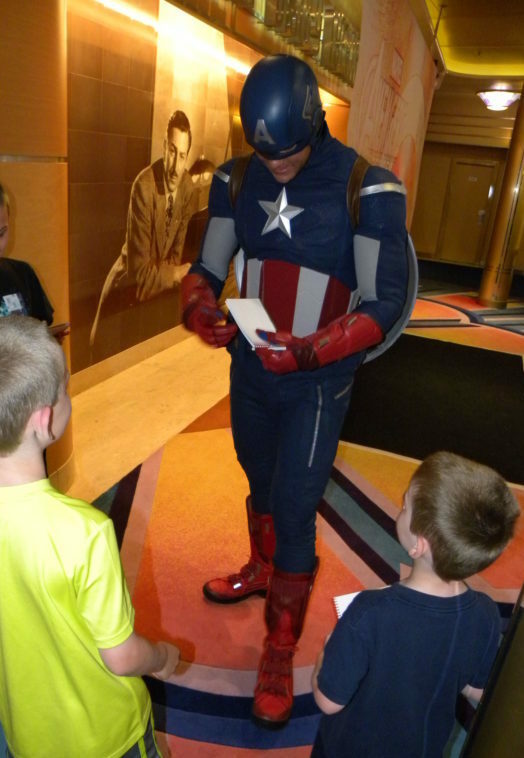 I can’t attest to if they still do this, but when we went on our cruise in 2014 we were happy we could drop off plain t-shirts (with pens) at guest services for character autographs. We brought the shirts for our boys to guest services the first day of the cruise, and we picked them up at the end and all the characters had autographed the shirt! I simply bought plain t-shirts for my boys before the trip, three different colors for three different boys plus pens for this fun souvenir. We also visited the gift shop on board to buy cruise themed coffee mugs, character stuffed animals, a hat, a shirt, and a Christmas tree ornament. They had many fun souvenirs available. 6). The day excursion options on the cruise were fantastic. 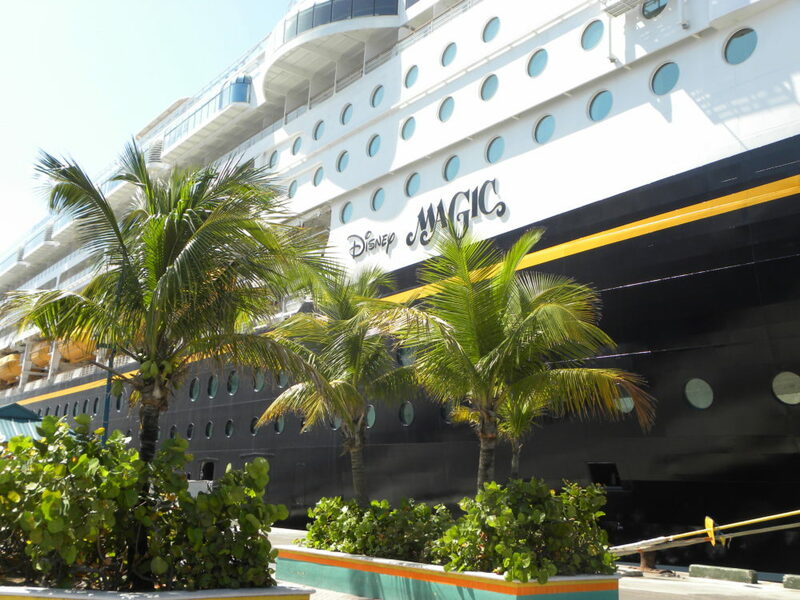 We enjoyed two off-ship adventures: one to Castaway Cay and the other to Atlantis. 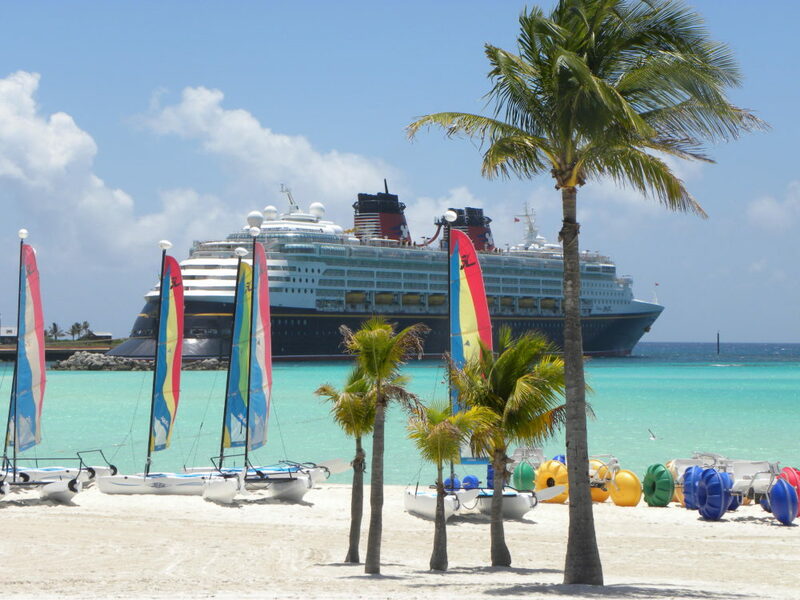 We stopped at Castaway Cay, Disney’s exclusive private island in the Bahamas, which was a pure slice of heaven! 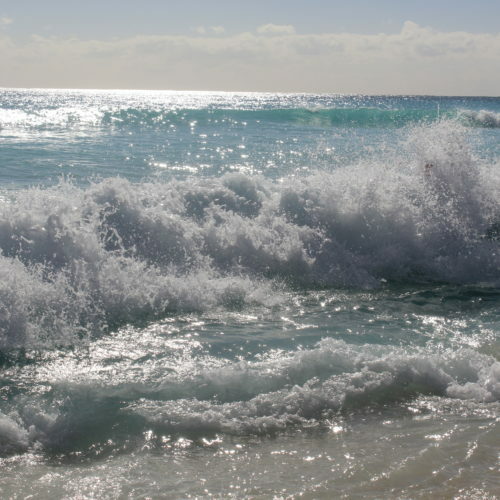 It was gorgeous with bright blue waters and white sands. The island offered a fun childcare check-in area, an adult-only area, a teen area, gorgeous beaches, fun water slides and play areas, food, and many activities. To read more check out my post about 7 Things I loved about Castaway Cay. 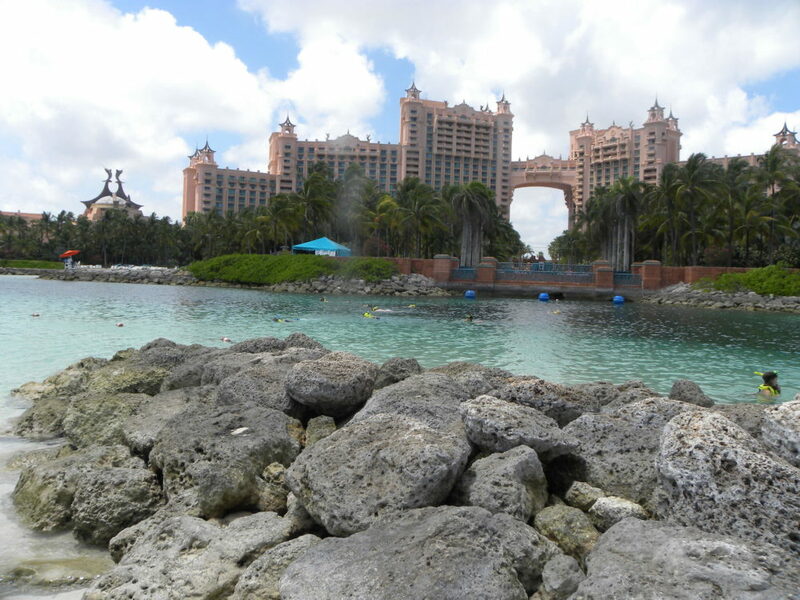 We also went on a day excursion to Atlantis. This gorgeous resort was so beautiful and amazing to visit. 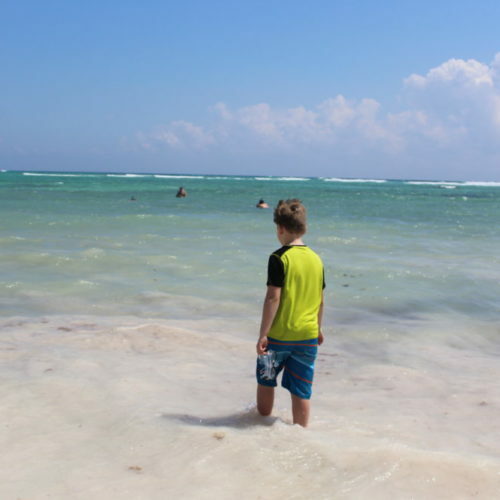 It was an expensive excursion, but it was worth it to see all the beautiful aquariums, fish lagoons, fish and sea life in the snorkeling area, and the amazing remake of the city of Atlantis. The beach was relaxing and gorgeous as well. The resort was truly beautiful with the water fountains with sea life statues, the sea life themed architecture, and gorgeous glass sculptures and chandeliers. 7). Even the waiting area before boarding the ship provided a pleasant experience. 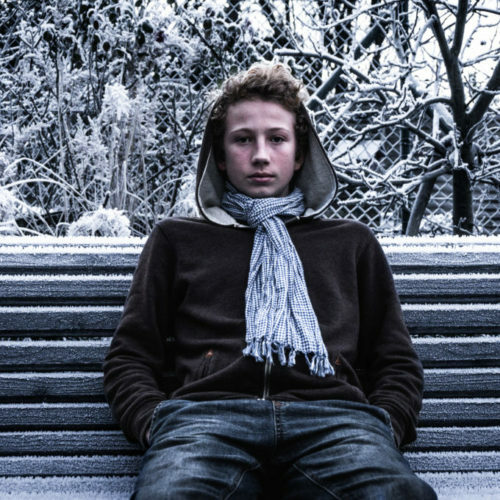 This is important for families with kids. We found even the waiting area prior to boarding the cruise ship was a fun place to be for guests. There was a meet and greet autograph line to meet Mickey Mouse so we got our first autograph and picture even before we boarded the ship. 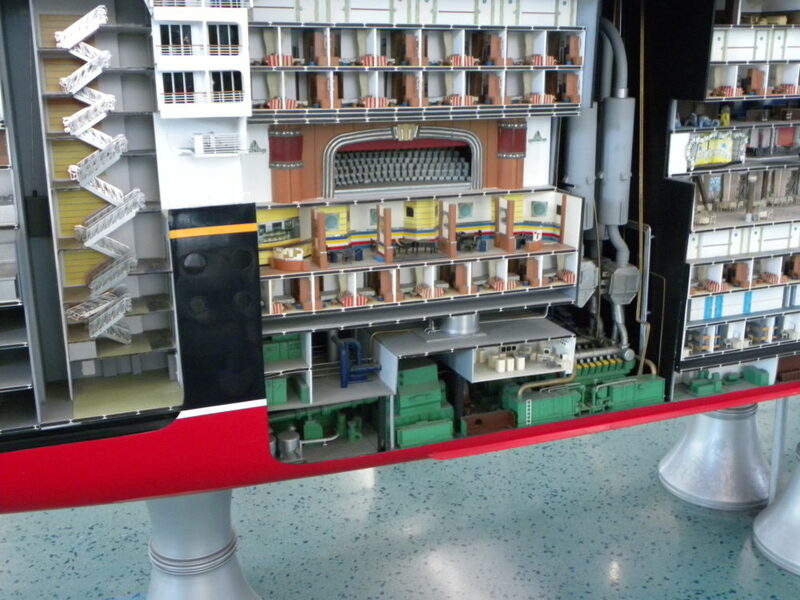 There was an awesome model of the ship on display with one wall cut away so we could see inside the rooms. It was very detailed and fun to look at. There were also movies playing in the waiting area to entertain people while they waited to board the ship. 8). The parties and live shows onboard were so festive and fun! We really enjoyed the Bon Voyage Celebration when the ship first took off. The characters came out on stage and we were given little golden pom-poms to wave about the air. It was a fun shove off! We also enjoyed the Pirate Party show with fireworks in the late evening. I had bought eye patches for the kids to wear at the party plus they wore their pirate shirts. Many people went all out and dressed up in full costumes as pirates. We returned to our room to find a dinosaur towel creation and gold chocolate coins. Our other favorite was the magician doing his on-stage magic show. My boys love magic so this was perfect. We also loved the awesome exclusive on-stage productions. The acting, costumes, and story lines were top notch! I love how the plays were included in the price of the cruise. If we were to watch one of these plays at home in a theater, we would have spent a lot on tickets for a family of five, but play attendance is included on the cruise. It was great to expose our kids to several on-stage plays. 9). The water slides onboard were fun for the kids! 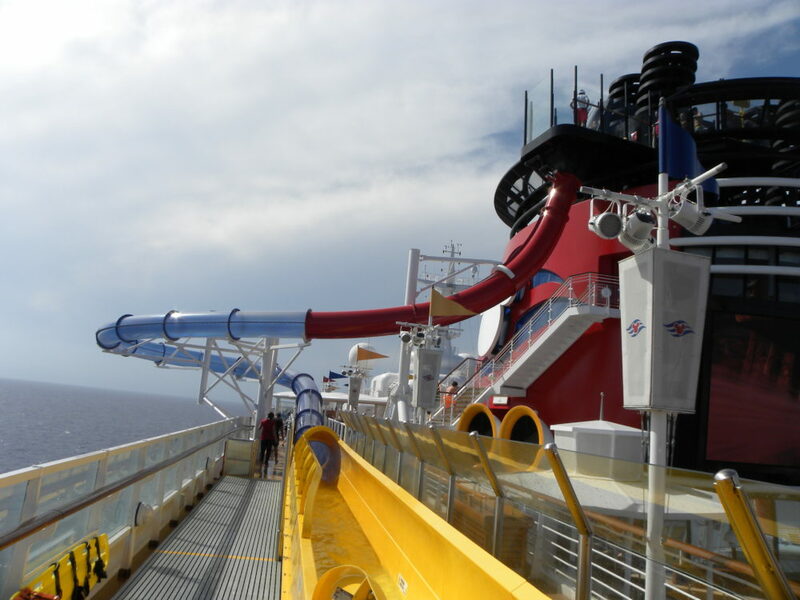 They had two types of water slides on the ship. One was perfect for younger kids and the other was fun for older kids and even adults. 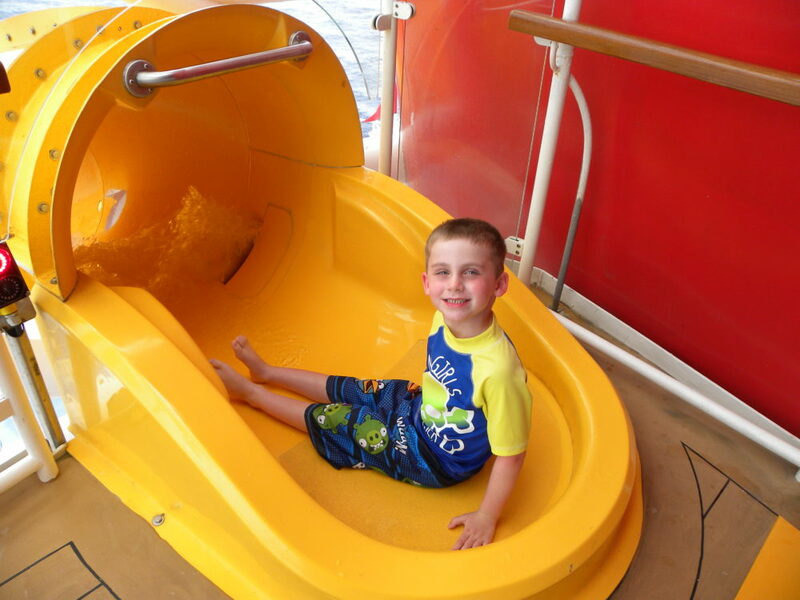 This cruise was the first time our youngest was willing to try a water slide and he found he loved it! It was perfect for a young child because the water ran at a slower pace and the slide slope was not steep. That bright yellow slide enticed him to overcome his fear of water slides and he found he absolutely loved water slides! He went on it many times in a row. The key for this is to try and hit the slides when the lines are short so multiple slide rides can be accomplished in a short time. We were fortunate to hit this low traffic time after 4 p.m. one day when we were eating a later dinner. We were at the water slides when many others were getting ready for or eating dinner. 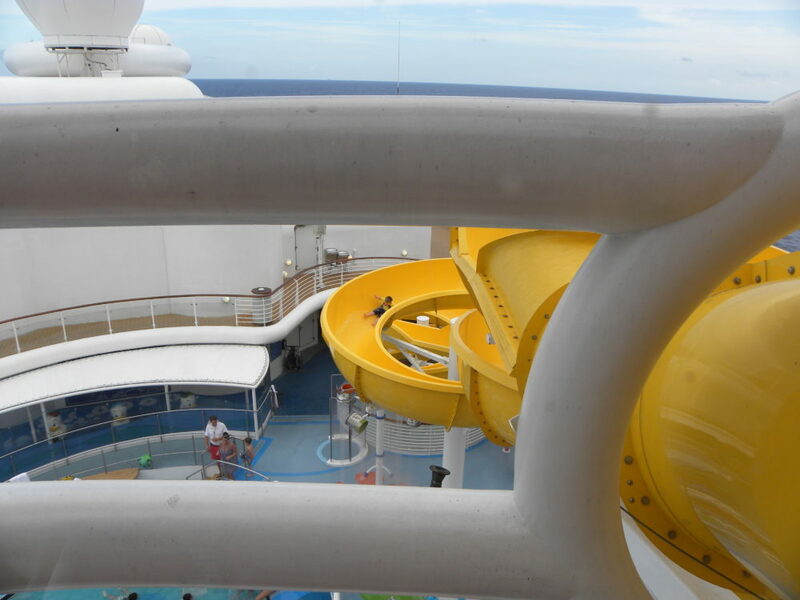 The cruise ship also had the water slide where the floor is pulled out from under foot and the person rides down the fast chute that goes out over the ocean. 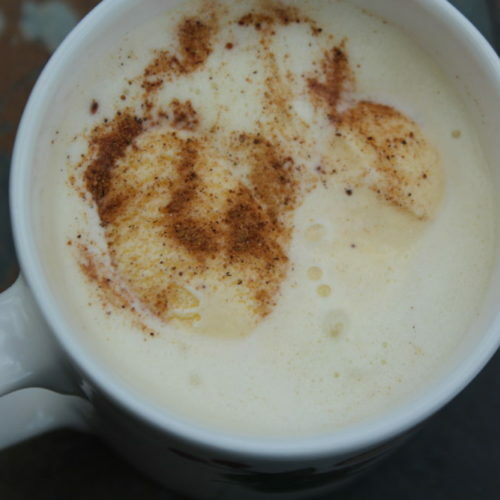 I did not try this one but my husband said it was fun. Be prepared to get all wet on it! 10). 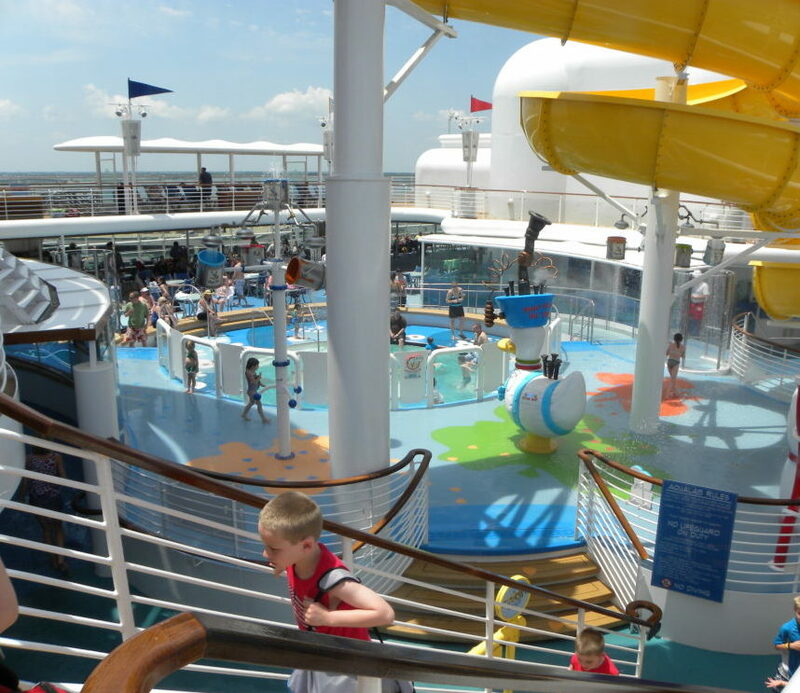 There were activities for all members of the family on deck. There were so many family activities on deck we always found an activity for the current mood of each family member. If one child wanted to rest and watch a movie on the big screen above the pool, he could lay on a chair and enjoy the movie while another child swam and our third ate a snack of pizza. There were many tables and chairs so my husband and I could relax with an adult beverage while our kids were all happily occupied. Truly a wonderful set up for family relaxation and entertainment. There were also hot tubs. 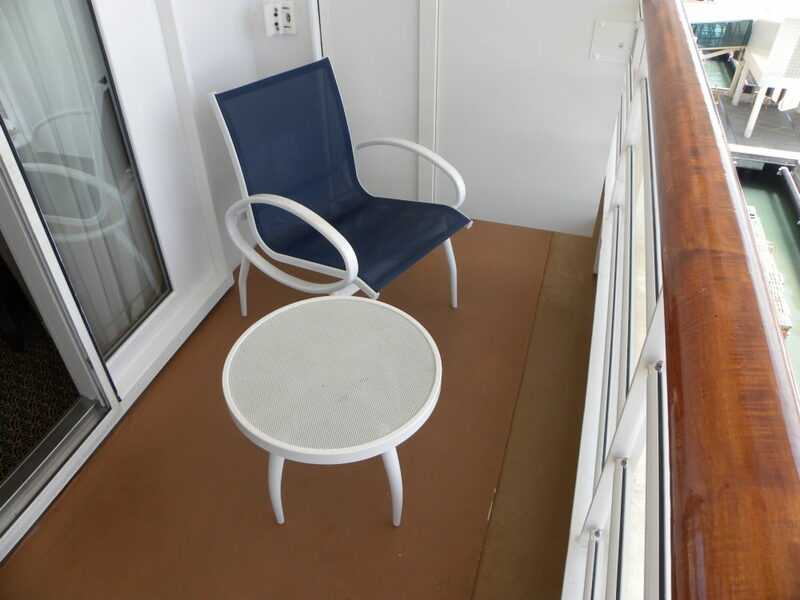 The other beautiful on deck amenities we enjoyed included the younger child water play area. We loved this area especially for our youngest with the small shallow pool, water spray features, and the young child-friendly yellow water slide I mentioned above. 11). The pictures for sale were awesome. The staff takes family pictures and they are available for sale. We decided we liked a couple photos enough to buy them. They come in a nice frame that we still have on display in our home. Sometimes pictures are the best souvenirs of all! 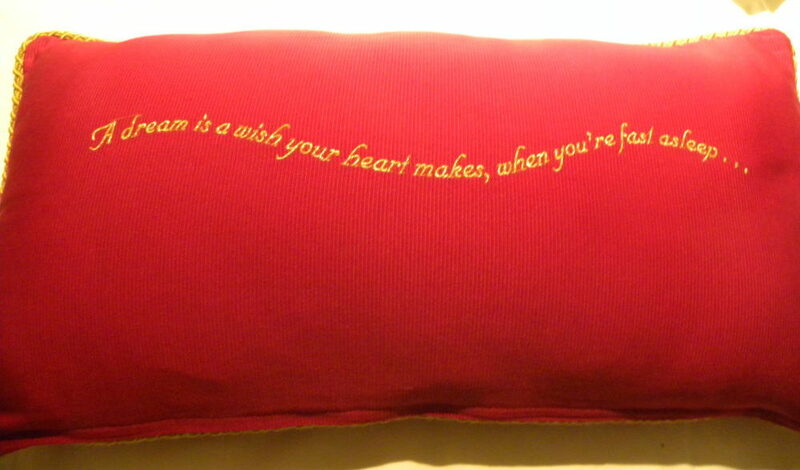 They take us right back to the trip and bring back those wonderful feelings and memories. I made a scrapbook of our vacation and it truly is a wonderful book to look at to remember our awesome Disney Cruise! Glad you enjoyed your cruise. 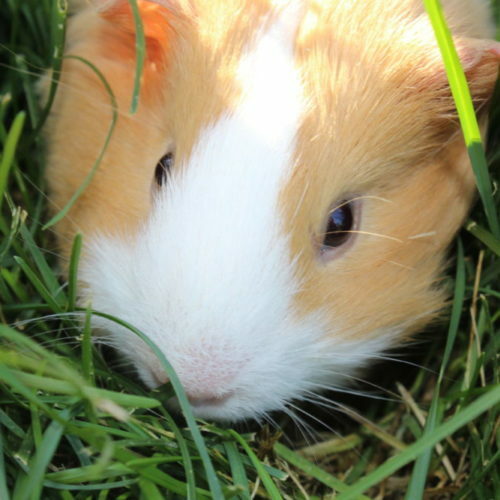 I notice you mention you use Grammarly to proofread your blog posts. How do you like it? I’ve heard mixed reviews. Thanks! Yes, I use Grammarly. I currently use the free version and I like it. I am considering the paid version to get more capabilities. You sold me I have to go on a Disney cruise now ! It’s a wonderful and memorable family getaway!! Thanks! What a great family vacation! I’ve never been on a Disney cruise, but I think it would be great to go on with a group. I would totally take my kids here if I have kids in the future. 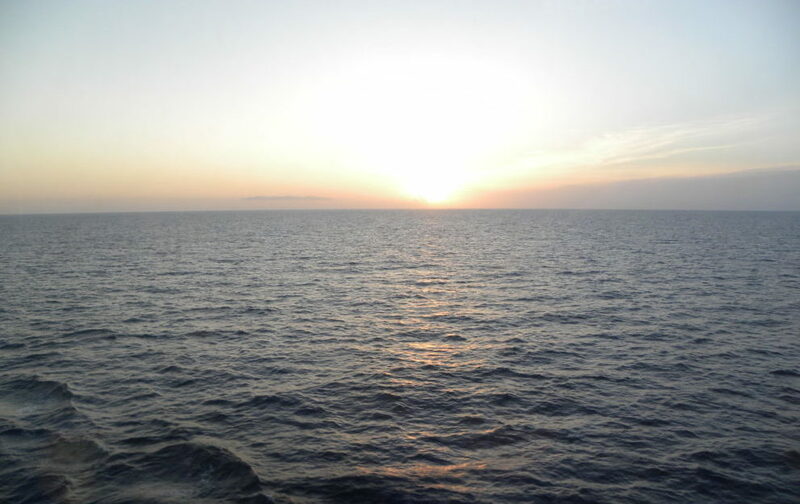 It is the best cruise I’ve been on! 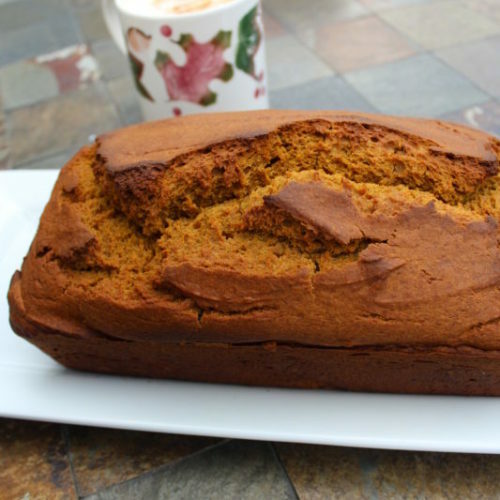 Unbeatable and top notch! Thanks! Yes, it is perfect for a group too! Hope you can go someday! This sounds like the perfect cruise for a family vacation. I’ll have to keep it in mind for the future. Yes, I highly recommend it!! My husband has fond memories of a Disney cruise when he was a kid. We keep talking about taking one, even though we don’t have any kids!! Yes, I think it is actually a good fit for couples without kids too! Every aspect of the cruise is top notch so I think you and your husband would enjoy it!! Thanks!